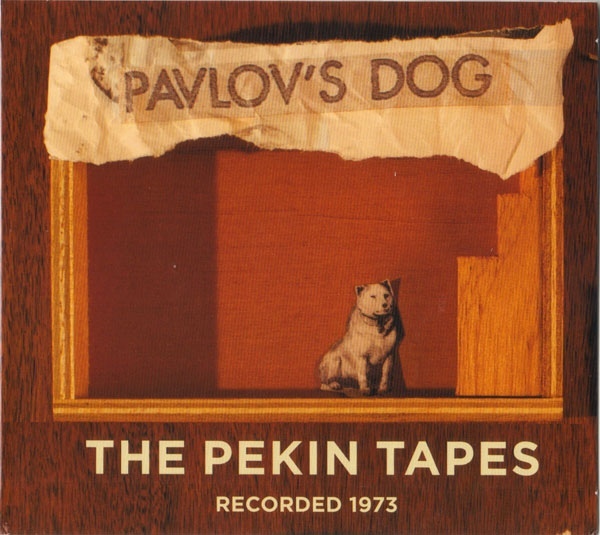 In 1973, nearly two years before the release of their major label debut Pampered Menial, Pavlov’s Dog from St. Louis, by that time already grown from their beginnings as a quartet of guitar, bass, drums, and violin, to a seven-piece with a full-time Mellotron player, keyboardist, and second guitarist. In October of that year they went into Golden Voice Studios in Pekin, Illinois, to record what they hoped would be their self-produced debut. With no producer or record label to answer to, this is pretty much what the band sounded like on their own terms, before producers got hold of them and toned them down a bit. Of the ten cuts the band recorded here, about half of them would go on to be re-recorded for their major label debut, while the other half – and some of their more progressive tunes like “Time,” “Dreams,” and “Clipper Ship”, would remain unreleased until now. The band’s instantly recognizable sound, even at this early stage, was dominated by the vocals of guitarist and lead singer David Surkamp, a high voice with seemingly excessive vibrato that one either loves or hates, or eventually gets used to. But at this early stage, there were others in the band singing lead on some of the songs, for example guitarist Steve Scorfina’s vocal on the beautiful “It’s All for You,” a song that would eventually find its way to the band’s unreleased third album in 1977 (finally released as Has Anyone Here Seen Sigfried in 1994), as well as some sung by keyboardist David Hamilton. In addition, there are four bonus songs included from the band’s earliest demo in March ’73, including a great early version of “Natchez Trace.” While it’s hard to argue that the production by the time of Pampered Menial in 1975 was much improved, this view into the band’s early repertoire is definitely worthy of a hearing.